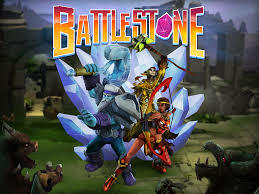 Zynga today released a brand new game for iOS and Android devices, titled 'Battlestone'. The game play involves hack and slash RPG much similar like the Diablo and Torchlight. But Zynga claims that the game has a unique fighting mechanic. And what it says is true, the game comes with a unique approach for combats. Instead of mashing your enemy up, you have to swipe the enemy till its dead. This means swiping either an attack pattern, or even deciding the order of enemies you attack by swiping among the enemy ranks. The tagline of the game says it all: Swipe away evil. The characters in the game have skills that revolve around the mechanic of swiping. For example, after starting a whirlwind-styled attack, players can draw a path on the ground to make the character move along it. The more deeper you go into the game, the more characters you can collect. And each one has a unique ability to help you out. The ability to summon and upgrade heroes is meant to add a level of tactics to the game as you will require heros with different abilities to destroy different enemies. If you like what you see, you can head to the Apple Store if you have a iOS device and Google Play if you have a Android device. Do write in about how you liked this game.